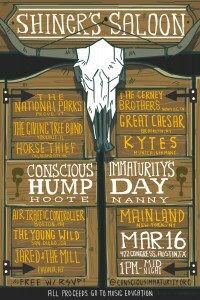 our 3rd annual Humpday Hootenanny is back in Austin on Wed 3/15! Keep an eye out for the raffle prizes and drink specials while showing your support for music education! And a huge THANK YOU to the amazing bands that are supporting our efforts! Who’s ready to party with us in Austin? 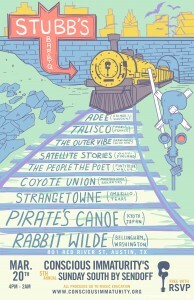 Come hang out and support music education at our parties during SXSW! We’re headed back to Texas and excited to host both of our showcases again! Hope to see you all in Austin!!! The Grand Farewell… Close out your week in Austin with us at our 5th Annual Sunday South By Sendoff at Stubb’s on Sun 3/20! We’re really excited to celebrate our 5th Anniversary at Stubb’s!! !